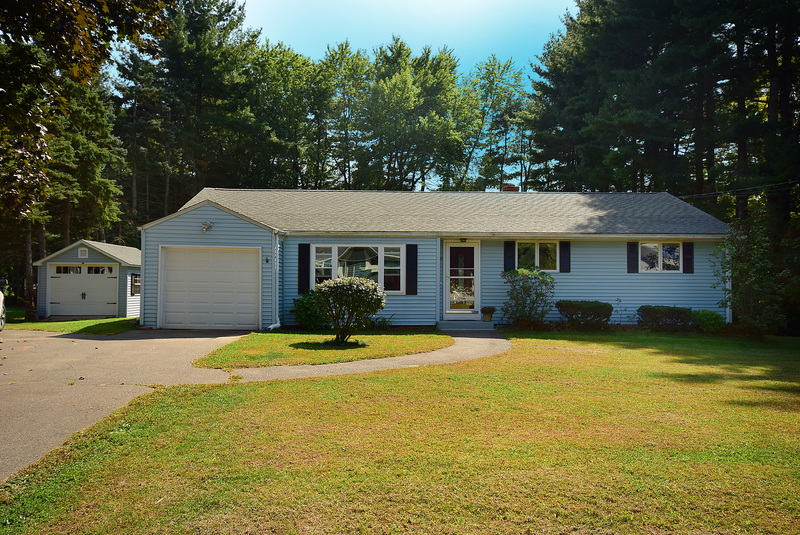 Open, light filled & spacious ranch home featuring 4 bedrooms & 2 ½ bathrooms. Sought out extremely open floor plan is well designed w/ large open living room, office, kitchen, dining & bonus room. All beacon guests to relax & enjoy! Lovely kitchen details incl. built in wine rack, tile backsplash, & sky-lights for additional sunlight. Spacious bonus room has privacy French doors & slider to the large oversized deck, perfect for entertaining. Space also incl. generous bdrm w/ walk-in closet, & full bathroom. This could also be the perfect private area for in-law or boomerangs. Home has additional three bedrooms w/ gleaming hardwood floors. First floor master is a plus! Adored first floor laundry & drop zone are ideal for getting organized, w/ exterior area for hanging out the ½ glass door to a sideyard pad. Quality recent upgrades throughout including new furnace & new hot water heater (2012), new roof (2008), new storm door, newer windows, all refinished hardwood floors (2017), new laminate floors (2015 & 2017), fresh paint, updated bathrooms, laundry, C-Air, gas heating, attached garage, & more. This expansive home also offers approx. 500sf of finished lower level perfect for additional space, plus has ample storage & hatchway for easy access. 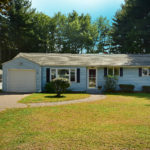 All of this located on a beautifully private landscaped level yard w/ mature trees, large deck, 2 large storage sheds (front shed new 2015), & garden in a quiet neighborhood setting! This is truly a special property!